Giving, loving, caring, empathy and compassion, going beyond ourselves and stepping out of our comfort zones to help serve others — this is the only viable answer to the multitude of problems the world is facing. We are in the midst of multiple crises — economic, environmental, and social. And we cannot wait for a leader to ride in on a white horse to save us. We all need to find the leader in the mirror, and take the steps needed to make a difference, both in our own communities and at the other end of the world. “Government has become too polarized to pass meaningful reform.” Yes, there is a lot governments need to do, but we cannot just delegate our compassion to government and sit on the sidelines bemoaning the fact that it’s not doing enough. From the depths of our compassion, we can free ourselves of all that limits our imagination about what is possible. It’s the only way to counteract the excessive greed and narcissism that surround us. Since the cultivation of compassion is crucial for societies to thrive, it is very good news that new scientific studies confirm the claims of contemplative traditions that compassion can indeed be enhanced with meditation training. As a 2012 study at the University of Wisconsin concluded, “Compassion and altruism can be viewed as trainable skills, rather than as stable traits.” And a 2013 study by researchers from Harvard University, Northeastern University, and Massachusetts General Hospital also found that “meditation enhances compassionate responding,” providing “scientific credence to ancient Buddhist teachings that meditation increases spontaneous compassionate behavior.” If these findings are taken as seriously as they should be, the impact on how we educate our children, live our lives, and solve collective problems will be nothing short of revolutionary. She shared her experience going through a self awareness seminar with others at A Place Called Home. She found herself sitting in a circle, forgiving her daughter for forgetting her birthday, while someone next to her was forgiving her mother for shooting her father. And she realized what separate but parallel lives we’re living, which only further feeds our self-absorption. She saw firsthand that what people who are struggling economically need as well as money, food, clothing, and material necessities, is to feel that someone cares. 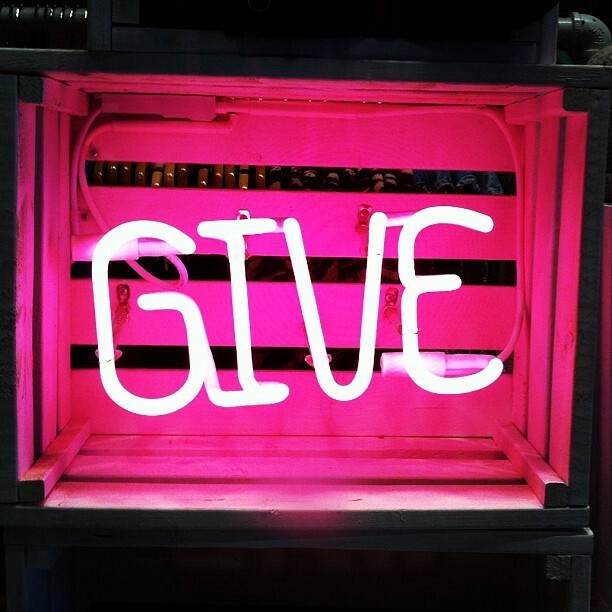 So, happy Giving Tuesday, and now that the holidays are here, please take a moment to think about the ways you can give back and brighten the season for others.